I have been following the present controversy about eradicating rats from Rakitu with some concern. While I respect the feelings of those in the community who appear to be have genuine trepidation about the use of rat poison, I must respectfully disagree with them. Just to make it clear to the community, I have long been an advocate for removing rats from Rakitu and indeed all our offshore islands, including Great Barrier. Most of the neighbouring islands, Cuvier, Mokohinau, Hauturu are now free of rats thanks to the one-off use of the same rat poison which is routinely used on this island and has been long available from any general or hardware store. In 2011, I reminded DOC of the commitment it had made back in 1993 to remove rats from Rakitu when it was seeking funding to buy the island. In June 2013 I successful secured for funding for this operation as a member of the government Nature Heritage Fund which had helped purchase the island twenty years previously. In September 2013, five years ago, I travelled to Rakitu with then Conservation Minister Nick Smith and local MP Nikki Kaye to publicly announce plans to remove rats from the island in 2015. Had DOC managers upheld that plan and got the job done in 2015, I daresay the leading stories in Barrier Bulletin would now probably be about how well the little spotted kiwi were doing on Rakitu and how native bird species long lost from Rakitu were being released with enthusiastic community participation. That indeed Rakitu had become a popular venue for Barrier islanders of every age including school kids who were actively involved in restoring the island, planting flax and pohutukawa etc. 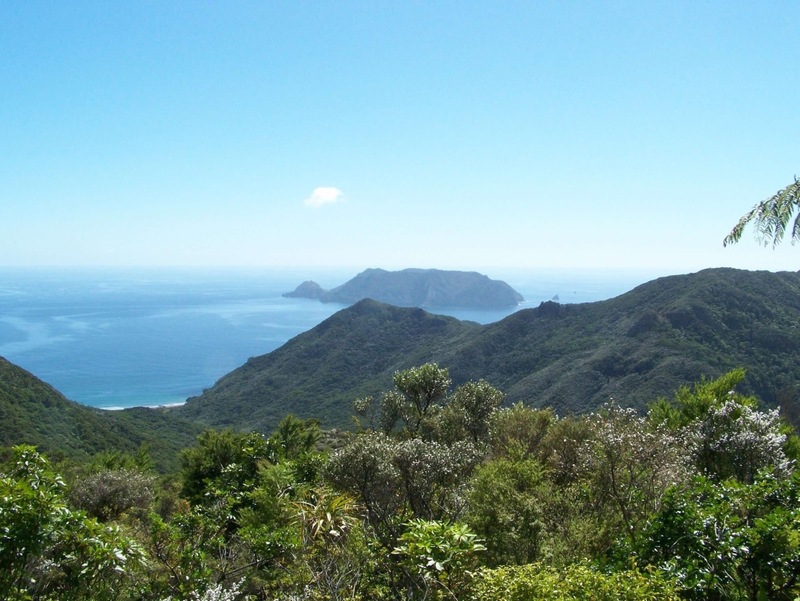 But the reality instead is that last week the pupils of Okiwi and Mairehau schools went on a two-day hike up to Mt Heale and saw and heard NO birds – not a single bird! A chilling reminder that the ‘rat-induced environmental catastrophe’ that drove numerous native bird species, bellbirds, saddlebacks, stitchbirds, parakeets, whiteheads, kokako (in our lifetime) and Lord knows what else, into extinction on the island in the 19th and 20th centuries, has never really ended. The process of extinction is ongoing. I would remind readers of a race of Bellbirds notable for their distinctive melodic song, which were recorded on Rakitu right up until the 1980s but were gone for ever by the end of the century – driven to extinction by rats. So for those who don’t know me, or my views let me place on the record that I fully support the eradication of rats from Rakitu and indeed Great Barrier. please let the Department of Conservation people get on with their job on Rakitu and let us give them our support. It is very obvious from what you have written that you haven’t got the slightest clue what is going on on Aotea and certainly not about the operations at Rakitu. This is not another Tiritiri project, where quarter of a million trees were planted over 20 years and bird feeding stations were put in place to encourage a thriving native bird population. Something we are all keen to see. A pity then that DOC didn’t see fit to approach this along the same lines as reported here. The local population would have loved to be involved in something so noble but that is not the plan for Rakitu island. No, this is a half baked, hair brained, poorly thought through scheme to turn Rakitu into a “seabird sanctuary”. No mention of little spotted kiwi anywhere in any of the DOC literature on the project and as for the bird life you talk of, DOC are deliberately killing threatened native species, the weka which their predecessors put on the island in 1951. Up to 500 of them, the dead bodies have started being photographed. There are other native species on the island who are being exposed to 15 tonnes of brodifacoum and a slow and disgusting death. What have DOC done? Certainly not removed any pateke or banded rail, they did take off 64 weka which they have admitted they have no idea what to do with. Incidentally no mention of the kereru, ruru, piwakawaka and 20 or so other species that have been identified on the island. The local population wanted to engage on this subject, were keen to work with DOC to voluntarily run traps on the island, monitor, plant and basically do a Tiritiri. DOC didn’t even give us the time of day. This was a pre ordained, pre decided plan. All done while knowing that to achieve their goal of a seabird sanctuary they would have to wipe out the weka. No mention of that anywhere. Not a word unless it was prised from them by persistent emails. In your letter to the Barrier Bulletin you are talking the same rubbish that DOC have been spinning to the general public who don’t have the time to investigate past the feel good sound bites. “We’ll get rid of rats and the birds will return”. In the mean time they are deliberately targeting and killing native species, the ones who don’t “fit” with their plan. This is the actual plan. The least they could have done was be honest instead of lying and misleading people. The exclamation mark is the author’s, not mine. Obviously Mr Hawkins from DOC finds it amusing. Except they haven’t bothered avoiding killing weka. DOC’s own estimates are 75%-85%. I previous operations the numbers are closer to 90% mortality. Did it really come down to how much? Really? In clean green NZ? Our reputation is rapidly being destroyed, actions like this accelerate it. More and more tourists are finding out about the actions of DOC and most are horrified. This has been a fiasco from the beginning and could have been so much more. Instead, DOC have alienated themselves from the local population for many years to come. Yes I am aware of what happened on Tiritiri Matangi. I organised the first mass plantings by volunteers in 1984 and 1985. There was of course an aerial drop of rodenticide to remove kiore in 1993. Re Rakitu despite the efforts of some misguided people the island will soon be (if not already) free of rats – for the first time in hundreds of years. Like Cuvier, Hautururu, the Mokohinaus, Mercuries, Hen & Chickens – and Tiri, this will be enormously beneficial in reactivating disrupted ecological processes, including the re-establishment of thriving populations of indigenous bird, reptile and invertebrate species. May I suggest you visit some of these rat-free islands and get an idea of what a paradise for nature New Zealand really was – and should be. Have you not had time to post my previous response to your article or are you “moderating” it? You do know that DOC have directly targeted a threatened native species on Rakitu don’t you? What are your thoughts on that? Thank you for your comments, it is great that you organised planting on Tiri. It is a shame a similar process couldn’t have been planned for Rakitu and a little extra money and time spent to achieve the removal of rats without having to kill the native species on the island. However, can you please address that part of my comment which was asking about the deliberate poisoning of native, threatened species, particularly the weka? Nobody is opposing the improving of the island to benefit the environment and ecosystem, only the methodology. Long term effects of dropping tonnes of poison are not known and the deliberate killing of native species to apparently save a few dollars is inexcusable.